This interactive, 60-90 minute pictorial-based training teaches workers how to recognize safety and health hazards when working in and around excavators and trenches and how to protect themselves and others from hazards. 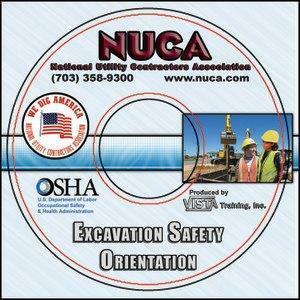 This program is ideal for use by employers as an introduction to excavation and trenching operations. Produced in English and Spanish with both audio and visual text, this program presents excavation safety in a manner that permits learning comprehension by workers with limited education or reading skills. Excellent for either self-study computer-based training or instructor-led course projected on a screen (with or without audio). Available only as a disc that requires a computer to view (not a video and will not work in a standard DVD player). Q: What year was this DVD made? The program was produced in 2008.